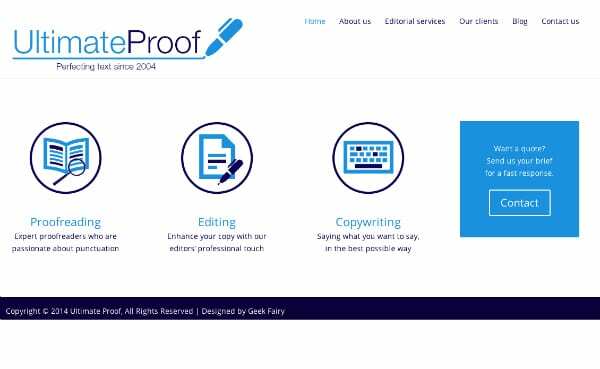 The client wanted a full website make over including new logo for their proof writing buisness. Their previous logo didn’t reflect what their work involved. Working with the client on colour choices and designs the new site was made in a modern minimalist design. The overall design, theme choice, layout, social media icons and 3 main icons are all designed by The Geek Fairy.